The Office of Campus Research Cores is an initiative from the Office of the Vice Chancellor for Research and Graduate Education (VCRGE) to enhance access to and support of research services at UW–Madison. The creation of the Office follows the recommendations of a cross-campus Working Group and parallels programs at peer institutions seeking to maximize resource value in the face of increasing competition for funding. The mission of the Office of Campus Research Cores is to support, coordinate and optimize core structure and services for campus researchers and external clients. Read about the increasingly important role of core facilities for collaborative research in: Institutional core facilities: prerequisites for breakthroughs in the life sciences (Meder at al., 2016). The Office of Campus Research Cores has developed a Directory of Resources for Researchers, including initial data for over 92 cores, 462 resources, and 335 services. Explore shared research cores, resources and service through Search and Browse functions. Feedback, suggestions for improvement, and recommendations for inclusions are welcome. The Directory is accessible for viewing by the campus and public communities. Editing requires a UW NetID sign in. 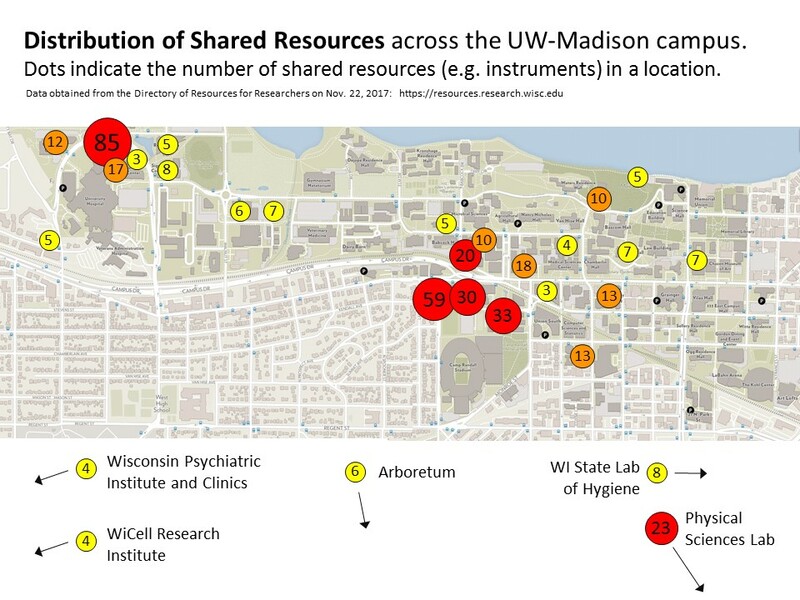 UW–Madison cores are shared resources which offer a wide range of services dedicated to the support of research. Cores provide access to instruments, technologies, services, training, and expert consultation. Cores typically recover all or a portion of their costs through user fees, although some subsidized core services may be accessible without direct charge to the user. Access to cores is through a fair and transparent process that enhances and expands the collaborative capabilities of the research community. The UW–Madison approach to cores is comprehensive and applies to research services in life sciences, physical sciences, social sciences, and the humanities.